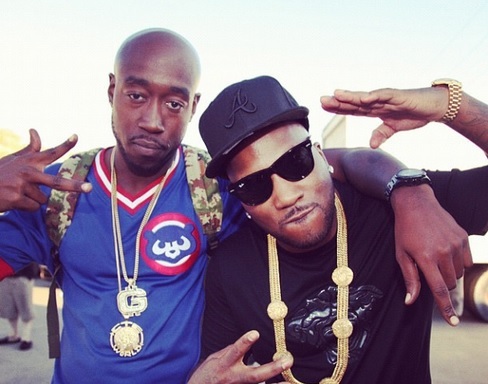 Two days ago, buzzworthy rapper Freddie Gibbs debuted a Jeezy diss in Chicago titled “Real” that blogs and music fans could not stop discussing. Today, Gibbs shares the studio cut of the track with fans, and the so-called ‘snowman killa’ proves he is out for blood. Showcasing his wordplay on the first verse before cutting to the chase on the second, “Real” is – if nothing else – another strong entry in Gibbs’ record collection. It may be hard to think about that when you’re laughing and gasping at the shade thrown toward Jeezy on the back half of the track, but even when he’s being vicious Gibbs is still a pro at crafting memorable singles. You can stream the song, in full, below. Gibbs is releasing a collaborative album with Mad Lib next week titled Pinata. We hope to have a review up in time, but if not just know anyone who enjoys the track at the end of this post will find plenty to love on the album. Jeezy has yet to respond to “Real,” but knowing his history it’s likely something will surface in the days ahead. Stay tuned.